Today morning, i had a very nice experience driving bike. 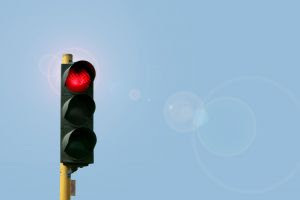 Almost 5 traffic signals gave green to me in a 5 km road stretch. I never had to stop; First i would see the red vehicles stopped 100m ahead of me. As i would drove near, green would flash. Something struck me hard. In this i found an irony with life. Sometimes all life gives us is a red, but it is only temporary. Sometimes you may get all green; then again red does come sometimes. Crossing when it is red on the road can be risky (to others on road). With life, its more interesting to pass through when it is all red. Obstacles make life interesting. If there are no obstacles,/levels in a game; it isn't game then. LIFE IS GAME; its more FUN with obstacles.